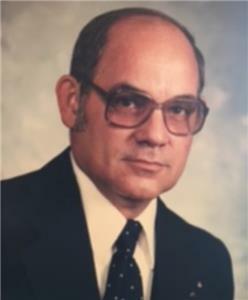 Gilbert Zeriel Sexton, 85, of Cleveland, went to be with the Lord on Thursday, September 20, 2018, while at home, surrounded by his family. He was born on Aug. 14, 1933, in Barren County, Ky. He was a member of Samples Memorial Baptist Church in Cleveland and attended services faithfully. He was preceded in death by his loving wife of 38 years, Mary Ruth Sexton; parents, William and Sally Ann Sexton; brothers, Henry Sexton, Harlan Sexton, Winford Sexton, Clavis Sexton, Lester Sexton and Clarence Sexton ; sisters, Flara Mae Sexton, Nancy Sexton, Gladys Sexton and Flossie Sexton. Left behind to cherish his memory are his three children, Donna Mellette (Matt) of Warner Robbins, Ga., Gary Sexton (Markeeta) of Lafayette, Tn., and Pam Scoggins (Rick) of Cleveland, Tn. ; two step-children, Bettie Pierce (R.B.) and Sandra Holloway also of Cleveland; 12 grandchildren, Kim, Kenny, Curtis, Joshua, Jake, Sherry, Regina, Gary, Megan, Tyler, Jason, and Jonathan; nineteen great-grandchildren, numerous cousins, nieces, nephews, great-great grandchildren, and a special niece and caretaker Reona. The family would also like to thank Hospice of Chattanooga for the wonderful care given to him by Laura Lane and social worker Dawn Griswold. Funeral services will be conducted at 1 p.m. on Monday, Sept. 24, in the chapel of Ralph Buckner Funeral Home with Reverend Lee Ingram and Reverend Mike Rymer officiating. Interment will follow at Boanerges Cemetery in Oldfort, Tn., with Kenny Pierce, Curtis Pierce, Alex Hawkins, Kyle Pierce, Kyle Hawkins, Carter Hawkins, Tyler Marcrom and Ricky Pierce all serving as pallbearers. The family will receive friends from 5-8 p.m. on Sunday, Sept. 23, at Ralph Buckner Funeral Home. We invite you to send a message of condolence and view the Sexton family guestbook at www.ralphbuckner.com.